Vehicle tracking reports offer a myriad of valuable data. From diagnostics to fuel usage, there are many tools at your disposal to overcome the fleet challenges you currently face. Whether you are looking to implement a safety program, a green initiative, or improve your customers’ experience, vehicle tracking reports provide actionable data to improve your mobile workforce. But, how do you know where to start? Depending on the provider you choose, there can be upwards of 40 different reports at your fingertips. That amount of data can be cumbersome if you don’t know how to utilize it. The best way to figure out the right data to look at is to see how current users are taking advantage of it. Here are the top five vehicle tracking reports, in descending order, that customers use and the challenges they are solving with the data. Whether you are a business that requires your vehicles to be returned to the yard at the end of the day, or if you allow your drivers to take them home at night, unauthorized use and vehicle theft can be significant challenges. The way customers manage and combat these issues is with the Odd-Hours Report and Alert. Companies that know a time range their vehicles should not be in-use define this as “odd-hours.” If any vehicle moves within that range (i.e. 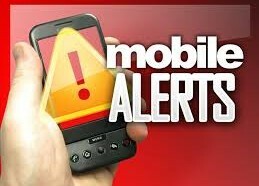 9:00 p.m. – 6:00 a.m.), then they are notified either in real-time with the alert or can see a history of odd-hours data through the report. Companies like to utilize the alert for real-time action against theft, whereas the report comes in handy when trying manage and mitigate the personal use of vehicles. The reason this report is consistently one of the most utilized is that high idle time has a rippling effect across a fleet and causes different issues. Long idle times lead to higher fuel costs and faster wear and tear on vehicles. It’s understandable in extreme climates that it is necessary for drivers to run the vehicle early before departing to either warm up or cool down the cab depending on where they are located. However, customers have found that the majority of high idle cases come from drivers leaving the vehicle running while at a stop either completing a delivery, eating lunch inside the cab, or other similar reasons. Using the data from Idle Time Reports can help control fuel costs, wear and tear, and their effect on the environment. Customers find this report invaluable for a few reasons that make it the number three most scheduled report. First, if your customers call in with issues such as your employees arrived late, were only there for half the time they should have been, and/or didn’t complete the job, then the Stop Detail and Idle Time Report will lay these claims to rest. How much money have you had to reimburse customers because it’s their word against the driver? With the Stop Detail and Idle Time Report, you can either confirm a customer’s claim or vindicate the driver by revealing what time they arrived at a location and how long they were stopped there. The added benefit of including idle information in this report is to spot patterns in idle times to help curb this behavior. Customers have used this report to both reduce the operating costs by vindicating the driver while at the same time providing a better experience for their customers by providing same-day billing. The Activity Detail Report can be used in countless ways because it displays an endless amount of data. This report shows all of the data that is gathered from the device and reported back to the server every two minutes. Speed, odometer, and distance are some of the data points in this report. Where customers find it most useful is when they need to research different situations such as an accident, or even input monitoring showing when snow plows, buckets, and other equipment were engaged. Safety challenges are the common thread between fleets of all sizes and industries. Speeding tickets and accidents are issues many businesses face, no matter how many or what type of vehicles you have. The reason the Posted Speed Report is consistently the number one scheduled report by customers is that it tells a story that the Speeding Violations Report does not. With a Speeding Violations Report, you, the user, are determining what constitutes a speeding incident. For instance, if you only want to know the times in which your drivers are traveling over 80-mph, then that’s the threshold you define and the only information you will see. But, what happens when your drivers travel 35-mph in a 20-mph school zone or 70-mph on a 55-mph road? This is the part of the story that a Speed Violations Report doesn’t tell you and a Posted Speed Report does. It utilizes mapping information to know what the posted speed of the road is and you determine what threshold over the posted speed you would like to see (i.e. any instances when drivers travel 10 mph or more over a posted speed limit).